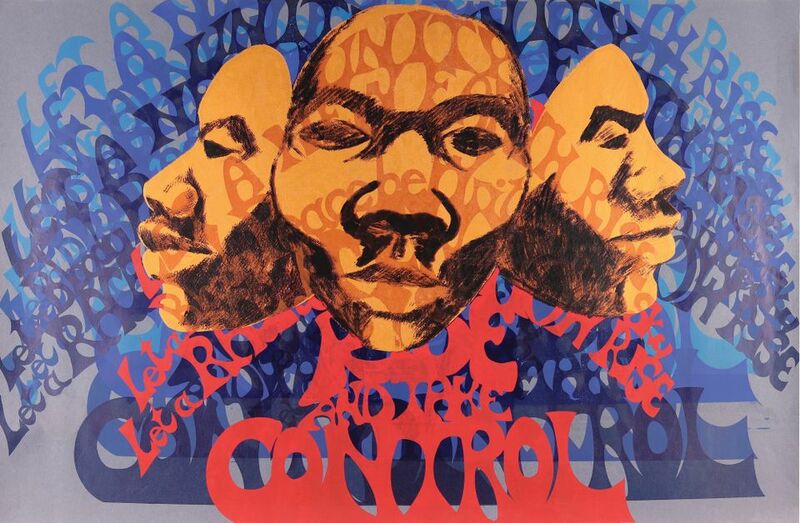 When five black artists from Chicago formed AfriCOBRA (the African Commune of Bad Relevant Artists) in 1968, they sought “to address conditions we were experiencing in our lives, in our positions in the world, and the politics of the nation,” says Jae Jarrell, one of the collective’s co-founders. “There was much we could do as artists to give a voice to that.” The Museum of Contemporary Art (MoCA) North Miami is amplifying that voice with an exhibition celebrating the 50th anniversary of the group. AfriCOBRA’s goal was to “bring uplift to the community”, Jarrell says. And they set about this by using what was to become the group’s visual calling card—bright “cool-ade” colours— and by creating positive representations of the Black community. “[We] needed a correction of our people seeing themselves in the art,” she says. The show presents work in multiple media, from sculpture and printmaking to fashion, by Jarrell and her co-founders—her husband Wadsworth, Barbara Jones-Hogu, Gerald Williams and Jeff Donaldson—as well as pieces by five other early members. A flock of fantastic beasts of all shapes, sizes and colours awaits visitors to the Bass Museum, which is the first institution to dedicate an exhibition to the Los Angeles artists/designers (and twin brothers) Nikolai and Simon Haas. “What I love about the beasts is that they’re diverse, you feel like they are all different genders, sexualities and races,” says Silvia Karman Cubiñá, the museum’s executive director and chief curator, who has organised the show. 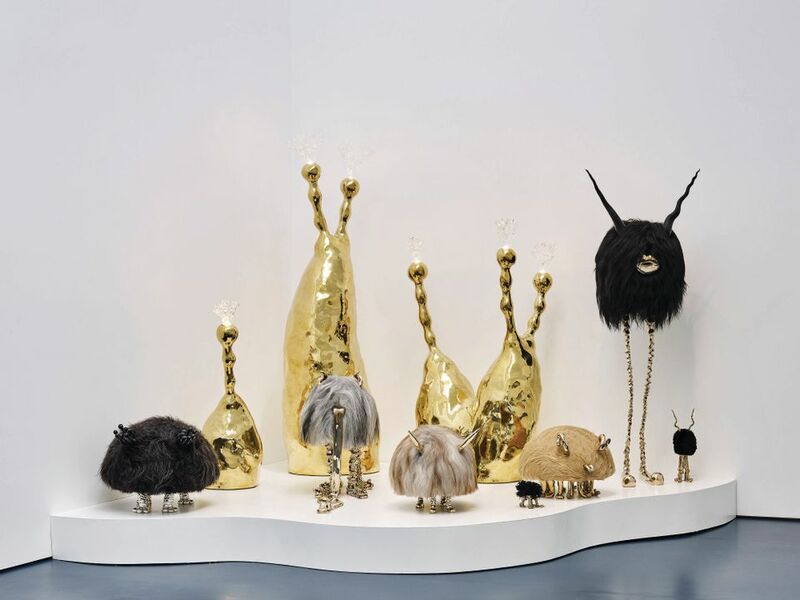 “And you’re going to see them in all of their diversity and glory.” These beasts are actually sculptural pieces—part over-sized objet d’art, part furniture—made from luxury-level materials like Icelandic sheepskin, grey Gotland sheep fleece, carved ebony and cast bronze. “The work teeters between art and design in this wonderful way,” Cubiñá says. Along with the brothers’ creative critters, the show includes ceramic work made through a process of accretion, in which slip is brushed on layer by layer to create shell-like fronds. “They almost look like coral,” Cubiñá says. Another important series are the Afreaks—heavily beaded objects that look like they burst forth fully formed from a child’s imagination—made in collaboration with a group of female artisans in South Africa. The brothers collaborated with a more local group of ladies in Lost Hills, California for their newest series, created especially for the Bass Museum exhibition. This series of lamps shaped like palm trees, with woven trunks, copper fronds and illuminated, beaded date pods hanging from the branches, are lit using fibre-optics. 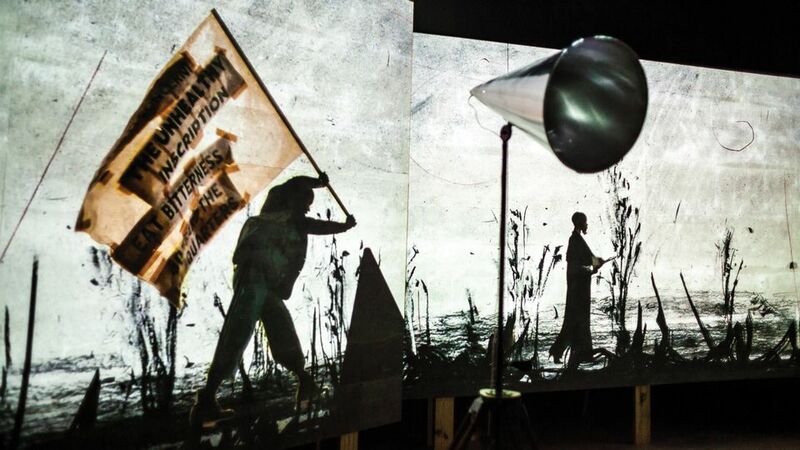 The South African artist William Kentridge brings his brazenly outspoken imagery to the big screen—that is, a 130ft-long screen wrapping the perimeter walls of the Freedom Tower’s second-floor exhibition space. Kentridge’s large-scale video installation, More Sweetly Play the Dance (2015), is a 15-minute rendition of the danse macabre or “dance of death”, an allegorical representation of our inescapable mortality. The eight larger-than-life projections create a visual storybook in which silhouetted figures march in a choreographed, recurring procession. Leading the procession is a jovial brass band, yet the atmosphere becomes darker and darker as each part of the parade introduces a set of new characters that play out their parts to a tune of suffering. The twists and turns of pirouetting dancers swirl past silhouettes of frail figures affixed to intravenous drips while other figures poke, prod and swing at the participants. The images allude to real-life events and tragedies such as the Ebola outbreak in Africa and the global refugee crisis, but instead of getting too specific, Kentridge keeps the overall work universal—like death itself. Parallels and Peripheries features the work of eight contemporary female artists working in vastly different ways but in service of one shared goal: the desire to be seen. According to the show’s curator, Larry Ossei-Mensah, we are all subject to our own and others’ “natural inclination to project an identity on to someone else, or even ourselves, ultimately limiting what we can see.” Sometimes, blind assumption or misunderstanding can limit perception, as shown in a 2016 sculpture by Susan Lee-Chun that looks like an oversized gold hoop earring incorporating the words “La Chinita”—the Spanish term of endearment for a woman of Chinese descent that the Korean artist has often been called since moving to Miami. The systemic erasure of some identities is more closely scrutinised in other works. The Dominican artist Lizania Cruz explores the loss of identity due to diaspora in her We the News project. The ongoing performance piece, which yields a free publication in which immigrants can share their stories and traditions, is due to be activated outside the Untitled art fair. Ossei-Mensah says the show is the first in what he hopes to be an ongoing curatorial series around the country; the second edition of the exhibition is due to launch at the Museum of Contemporary Art Detroit in February. The Rubell Family Collection is showing more than 100 mixed-media paintings by the late, self-taught African American artist Purvis Young (1943-2010). More than 50 works, made by the Miami native between 1988 and 1995, were given to the Rubells by the estate of Janet Fleisher, who was a longtime supporter of the artist and the co-founder of Philadelphia’s Fleisher Ollman gallery. Young grew up poor in Overtown, which was then an inner-city neighbourhood near Miami’s Wynwood. He began drawing—honing his skills by reading books and watching television while in prison on charges of breaking and entering. He caught the attention of Bernard Davis, the owner of the now-defunct Miami Museum of Modern Art, after painting his anti-Vietnam War mural The Struggle (1973-74), which is now in the Smithsonian Museum of American Art in Washington, DC. His work, often made on cardboard, wood and fibreboard, blends painting and drawing with collage and found objects. His subject matter typically includes phantasmagoric images of angels, pop-culture figures and animals. The Miami-based real estate tycoon and art collector Martin Margulies first encountered the work of the Japanese conceptual sculptor Kishio Suga last year, when he travelled to the artist’s studio in Itō in central Japan and bought nine pieces from Suga. The works “stood out to me for their use of diverse materials, like wire, wood, nails and paint, and because I saw a notable influence of the Italian Arte Povera movement in Suga’s work”, Margulies says. A few months later, Margulies bought a tenth work from the artist. The ten mixed-media sculptures, which Suga made between 2005 and 2016, are included an exhibition at the Margulies Collection at the Warehouse in Miami’s Wynwood arts district. Suga, one of the founding members of the Mono-ha movement of the 1960s, explores the relationship between organic and industrial materials and their surrounding spaces. He “draws attention to the work and its background, which in the case of this exhibition is how the works are arranged against the gallery wall”, Margulies says. Like many Arte Povera artists, Suga “transposes materials from one work to the next, restructuring these same materials in a variety of ways”. The collectors Rosa and Carlos de la Cruz have selected more than 150 works from their holdings in various media—paintings, works on paper, photographs, sculptures and large-scale installation pieces—for this year’s show, More/Less. The aim was to display art made mostly within the last 30 years that consider the current sociocultural climate. “We believe that this show questions the issues that are relevant today,” says Carlos de la Cruz. 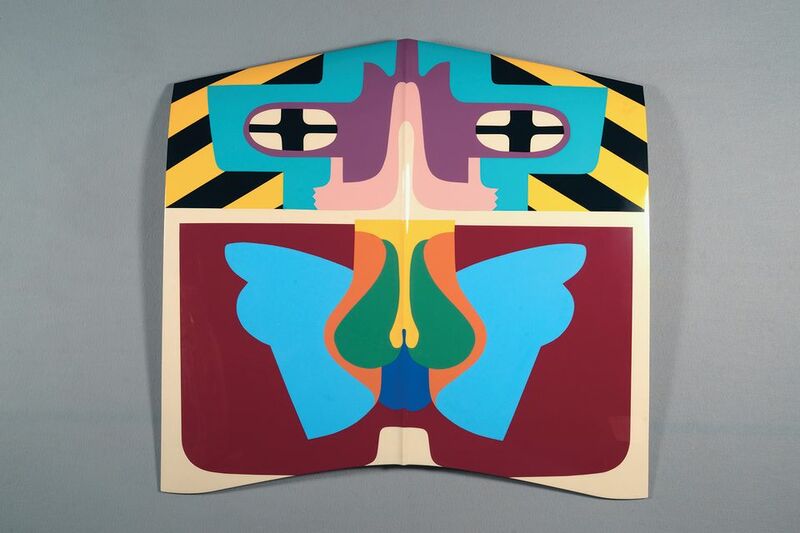 The wide-ranging group show mingles works by pivotal Surrealists Salvador Dalí and Wifredo Lam alongside contemporary works by Thomas Houseago and Lucy McKenzie, among others. 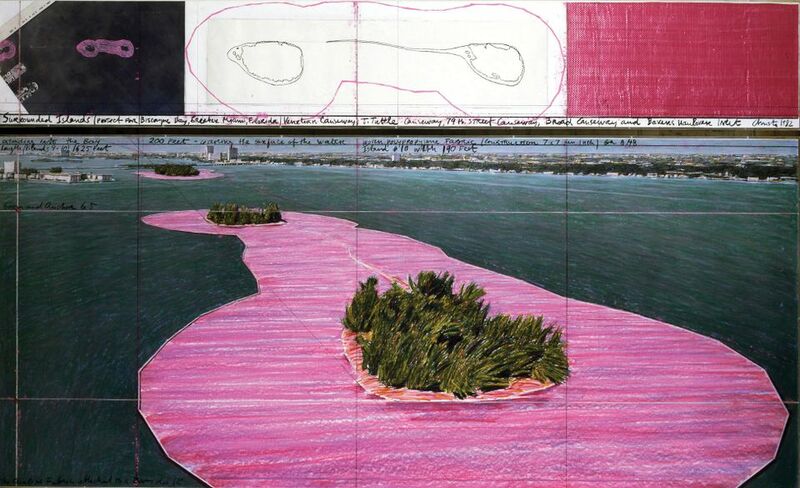 Imagining Florida: Histories and Myths in the Sunshine State transports visitors through Florida’s colourful history, drawing on the diverse experiences of the artists who have lived and passed through its borders. Irvin Lippman, the executive director of the Boca Raton Museum of Art, says visitors will see the transformation of Florida “from pristine natural landscapes to a hyper-tourism destination”. The presentation includes more than 200 paintings, photographs, prints and drawings spanning the 18th to mid-20th centuries by artists such as John Singer Sargent, Laura Woodward, Albert Ernest Backus, Frederick Carl Frieseke and Esmond G. Barnhill. There is also a choice selection of kitsch memorabilia and curiosities from the 1950s and 1960s. The exhibition opens with the oil-on-canvas Beautiful Savannah in the Pine Woods of Florida (1834-35), which the artist and traveller George Catlin painted during a trip to the Sunshine State; the picture is on loan from the Smithsonian American Art Museum in Washington, DC. Other highlights include oil-on-Masonite works by the US Army photographer Jules André Smith that depict life in Etonville, Florida—one of the earliest black communities in the US—and gelatin silver prints by Bruce Mozert, who is best known as a pioneer of underwater photography.